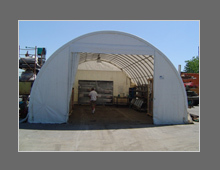 In addition to our standard complete Dome™ shelter packages, we offer a wide variety of popular options to help you personalize your shelter to suit your every need! 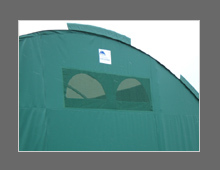 The VinaGARD™ colours we have for you to choose from for all of our Dome™ Shelter units include our most popular natural colours of hunter green, grey and beige, as well as vibrant colours of yellow, royal blue, chocolate brown, white, red burgundy, and black. We offer this colour option as part of our standard package at no extra cost to you! 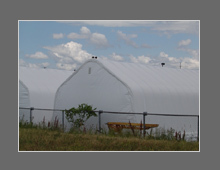 With our window and skylight options for the opaque VinaGARD™ fabric, your shelter will be naturally lit, while privacy within the shelter is maintained. 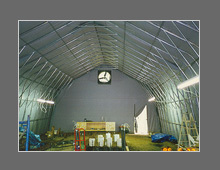 For our windows, we provide a 2-way, permanent clear panel with privacy flap inside the shelter. 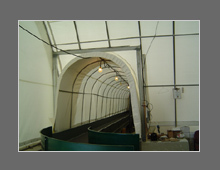 Also, we offer a 5-foot wide skylight option that can be installed along the full length of the shelter, made of a UV-protected translucent fabric. 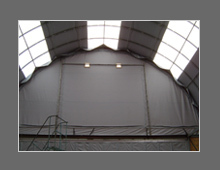 On the other hand, our white Polyolefin fabric is a UV-protected, translucent fabric that will allow the filtering of ample natural light inside your shelter without the need of a skylight or a window. 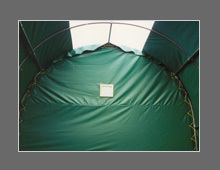 Therefore the skylight option is offered in the VinaGARD™ fabric only. 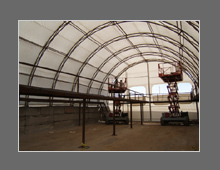 It is important to provide proper ventilation to control sweating or condensation inside your shelter. 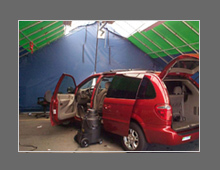 We therefore recommend the optional vents be installed in the back panel, where they are most effective. 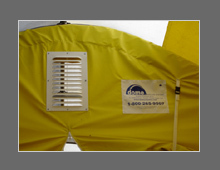 These vents are offered in two sizes 12" x 12" and 12" x 15" to suit the application of your DomeTM Shelter System. 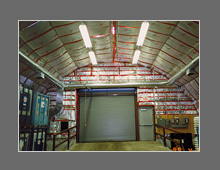 These vents can be fitted in our shop, or in the field. 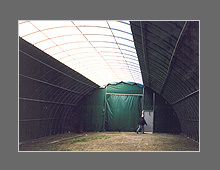 For applications which require maximum airflow, vinyl coated mesh vents can be factory installed in the end covers of any DomeTM Shelter System. 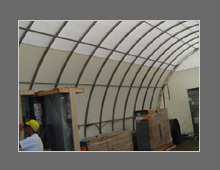 Mesh vents come complete with a zippered fold down flap on the inside of the shelter. 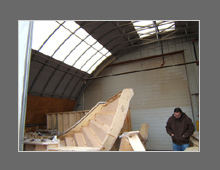 Standard size is 30" x 55", but any size can be custom tailored to meet your specific needs. 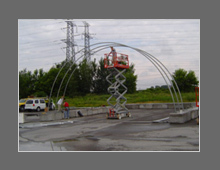 For other exhaust outlets required by equipment operating inside the shelter, we can provide custom apertures in our main cover. 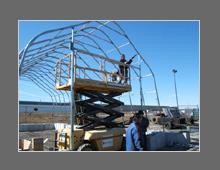 For your other custom ventilation needs, we also offer the options of powered vent fans and new wind driven ventilation turbines. Please contact our sales representatives for further details. 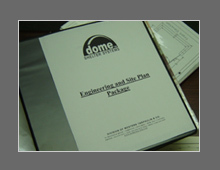 Building Permit Package (if required) includes an engineer's stamped drawing of the structure and documentation on the flame rating of the cover material. 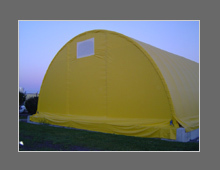 Please contact us with your specific requirements and we will quote a shelter compliant with your local codes.